My husband and I love spicy food! The spicier the better and jalapeños poppers have always been a favorite of ours. 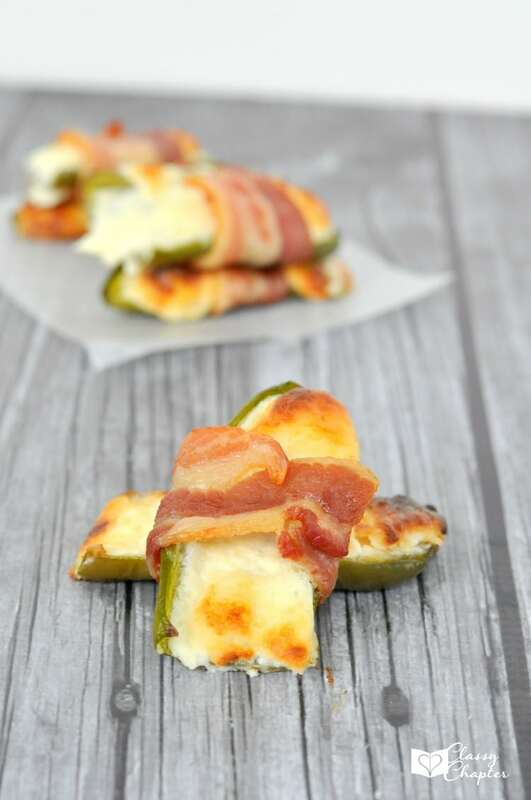 Wrap them in bacon and now you really have something yummy to snack on! These are hands down one of my best bacon recipes. You’ll also notice that these bacon wrapped jalapeños are not breaded or fried making them that much healthier! Making your own bacon wrapped jalapeños is so easy. You can use different types of cheeses and really make them unique to your own taste. Preheat oven to 375 degrees. Line a rimmed baking sheet with foil, lightly greased with olive oil. Cut each piece of bacon in half. Try to use a good quality bacon, it really makes all the difference. Blend together cream cheese, gruyere, salt and pepper until smooth. To get an even amount of the cheese mixture in each jalapeno, put the cheese mixture into a pastry bag or a zip lock back with the end cut. Pipe the cheese mixture into each jalapeno half. 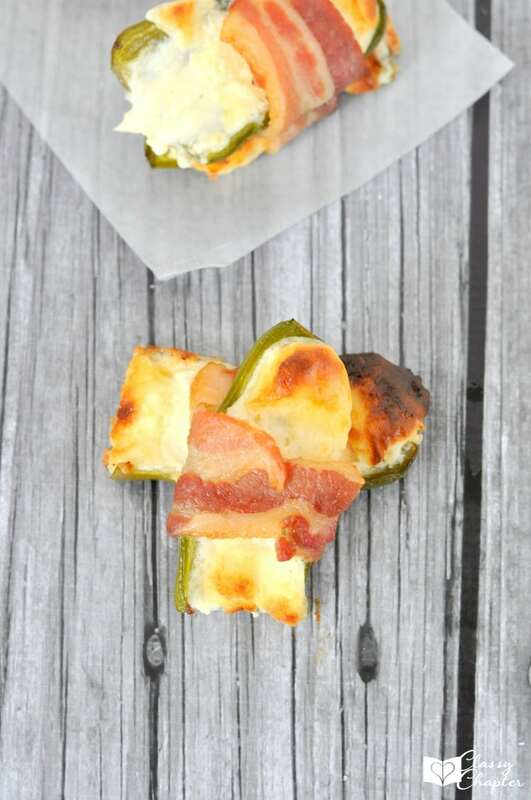 Wrap one piece of bacon down the center of each jalapeno. 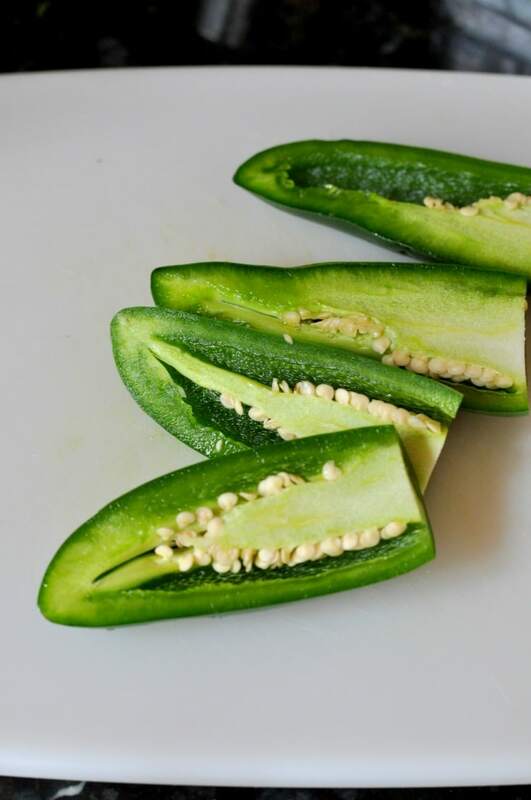 Place jalapenos on baking sheet and bake for 10 minutes. Turn on broiler and broil for 1-2 minutes to crisp bacon. If you like your bacon a little crisper leave it in the oven for another minute or two. Just be sure to watch it close….burnt bacon isn’t good! 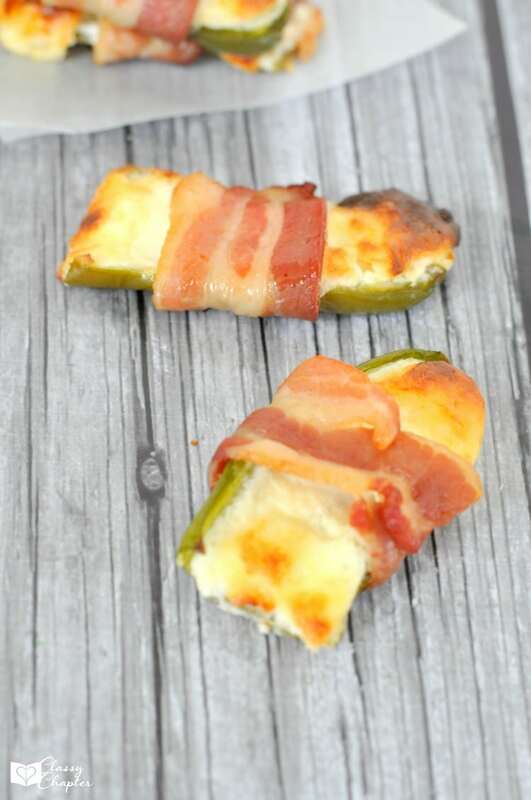 Bacon wrappedjalapeños are a perfect appetizer for holiday parties, summer barbecues or just as a tasty snack on the weekend. I promise you, all your friends are family are going to love these! 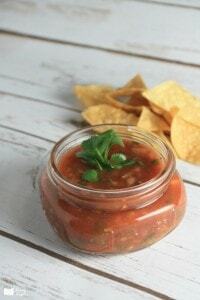 If you enjoyed this recipe make sure to check out my Easy Salsa Recipe. I’m going to obsessed with these until I make them! They look fantastic! they are so easy to make! Seriously, just make them this weekend! You won’t regret it. Yum, my husband and I love spicy food too, these sound wonderful! Thanks for sharing at What’d You Do This Weekend? I hope you will join us again this Monday! My mouth is watering just looking at the pictures. I plan on growing jalapenos this summer, so am stockpiling recipes. Ill be printing this one out. I make these every summer but a little different in the recipe. These look soooo good!! I can’t wait to make these the next time we have a cook out or just for a snack!! Thank you for sharing! !